Indianapolis Star former chief music critic's blog- "Jay Harvey Upstage"
New York Festival of Song "The Welcome Shore"
New York Festival of Song "Beginner's Luck"
Those who attended mezzo-soprano Sasha Cooke’s Austrian Embassy recital on Monday hoping to hear a healthy dose of opera doubtless left quite satisfied. This poised and lovely singer – who made a big impression on audiences in the Met’s recent production (and telecast) of John Adams’ “Doctor Atomic” – programmed an operatic second half to her recital that sampled Mozart’s “La Clemenza di Tito,” Tchaikovsky’s “Eugene Onegin” and Strauss’s “Der Rosenkavalier," and concluded with Verdi’s operatically scaled art song “L’Esule.” Cooke lent expressive immediacy to all of this music, divining the right emotional temperature for the character singing each aria. Clearly a creature of the stage, she proved a naturally expressive actor, her economic gestures reading as spontaneous, her eyes alive to the quicksilver changes in the music – not just while singing, but during every note of pianist Pei-Yao Wang’s equally expressive, text-specific playing. 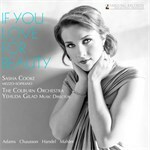 Sasha Cooke, a mezzo-soprano, saved Stephen Sondheim’s “Take Me to the World” for the second encore of her New York recital debut on Tuesday night at Zankel Hall. But that title could easily have served as a banner for the entire concert. Over the last few years Ms. Cooke’s New York appearances in orchestral and chamber settings have consistently earned approving notices. 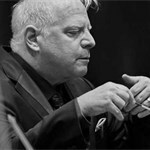 In this program, presented by the Young Concert Artists series, she explored a wide range of mostly overlooked selections by an international cast of composers.